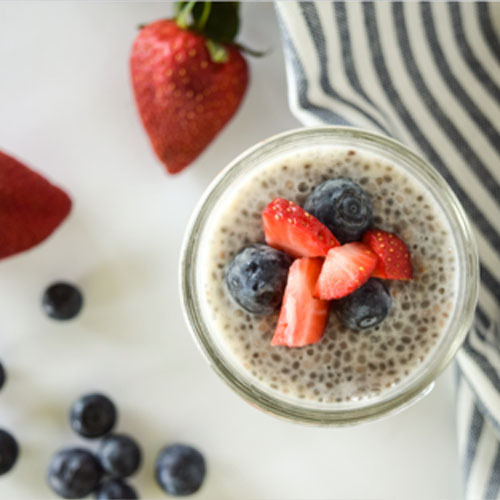 Mama Wellness’ chia seed pudding recipe is a great pre-made breakfast option! Love that I can just grab it out of the fridge and eat it in the morning! Mix or blend all ingredients together.